We are pleased to announce the success of the Preparatory Meeting held by “A Rocca” Organisation- EProjectConsult on January 22th in Warsaw, Poland. Thanks to the collaboration of over 20 Polish and 1 French organisation and the professional and linguistical support of Miss Iwona Lewandowska, the meeting provided the great opportunity to connect with old partners and meet with new partners to discuss the contents of the Erasmus + Programme and ideas for the development of new project proposals. The day began with a presentation by EProjectConsult about the Erasmus + Programme – Key Action 1 to clarify what the new programme contains and how the old programs fit into this action. A sample Application Form was also presented to overview its contents and what information is required. The EU projects experts of A Rocca extended an offer to consult in the writing of the project proposals free of charge. 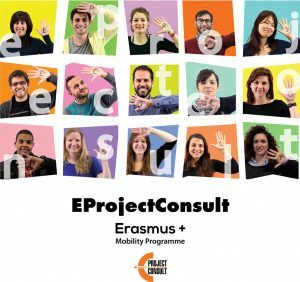 This part of the meeting was followed by a presentation about EProjectConsult- “A Rocca” Organisation’s background and experience as an intermediary organisation in mobility projects involving youth, education, cultural and training. Our Polish partners from two successful 2013 Leonardo da Vinci projects, Miss Agnieszka Brodacka-Ochnio from Centrum Edukacji i Pracy Mlodziezy OHP and Miss Barbara Steglińska from the organization Łódzka WK OHP, added to the presentation by sharing their opinions and experiences working with EProjectConsult. After lively lunch, provided by EProjectConsult, it was time to meet individually with each organisation. We met with partners with whom we have already agreed on cooperation for an approved 2014 project as well as those who would like to apply under the framework of Key Action 1 and have their project implemented in Sicily. These face to face meetings were productive for consulting about suitable projects according to the institutions profile, discussing new project ideas and answering targeted questions about our organisation. We would like to thank all of the organisations who participated in our Preparatory Meeting and we look forward to creating strong partnerships for 2014 and beyond.